Bag of 25 sorghum suckers. 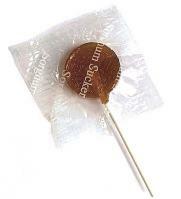 These suckers have a wonderful sorghum flavor. Hardening ingredients added. From breads and beverages to delicious dinners and sweet sorghum desserts, this book contains hundreds of easy-to-follow recipes for today’s health-conscious homemakers. 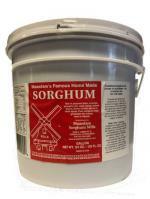 For today’s chef, sorghum is a nutritious flavoring, a seasoning ingredient, and a sugar substitute. Rediscover the versatility of sorghum through this compilation of delicious recipes.